This is hard to review simply because my criticism of it is the very thing I liked about it--and that I like about most books. It was beautifully written. It was poetic and lyrical--but because of the nature of the book and the ages of the main characters, I found that it weighed down the story with its flowery prose. It was almost too beautiful if that makes sense?! 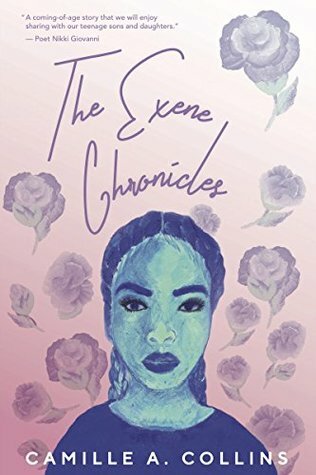 The characters are barely teens--and one of them is missing caught up in the onslaught of fast approaching adulthood in the body of someone too mature for her own age. A precocious young girl who finds love sooner than she's ready for. As a whole I thought, the book was interesting and again wonderfully written--but I found some of it was lost in its beauty. Some of the raw truth covered in a language to beautiful for its ugliness. The author is obviously a gifted writer, with a knack for telling an interesting story--but it was a bit too much. I appreciated its grapple with racism, though mild--it was effective and realistic. I also appreciated the way it dealt with two girls growing up at the same age but dealing with all of the things that came with it, with care. I'd like to see what else this author comes up with, possibly something lighter--or something heavy with a raw tone.